A hot topic in Japan right now is rental fashion. Why bother owning the latest fashion when you can rent them for a month. The latest collection in your cupboard. What’s more if you like the items you can buy them at a 20% discount. Sounds great right?! 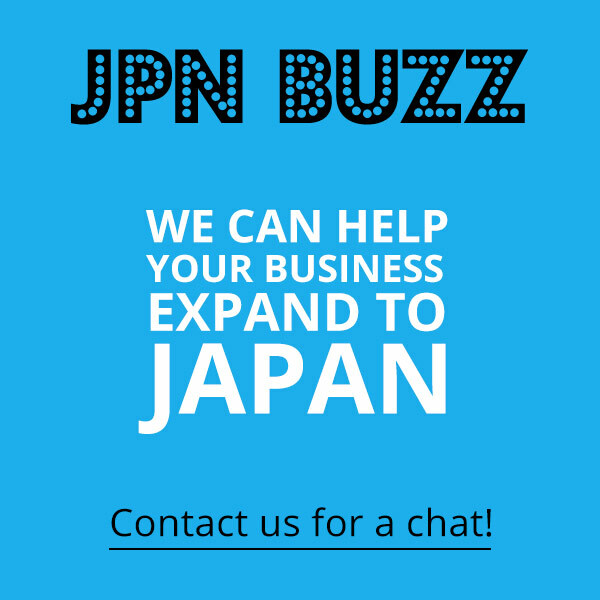 Well several services offering unlimited borrowing for a monthly fee have popped up in Japan to cater for this market. Receive a box containing 3 pieces chosen by a stylist. Customers give feedback to the stylist about the clothes. A new box arrives each time you return the box, there’s no limit to the number of times you can exchange. If you like the clothes It’s possible to purchase. To use this service costs 6,800 yen per month. 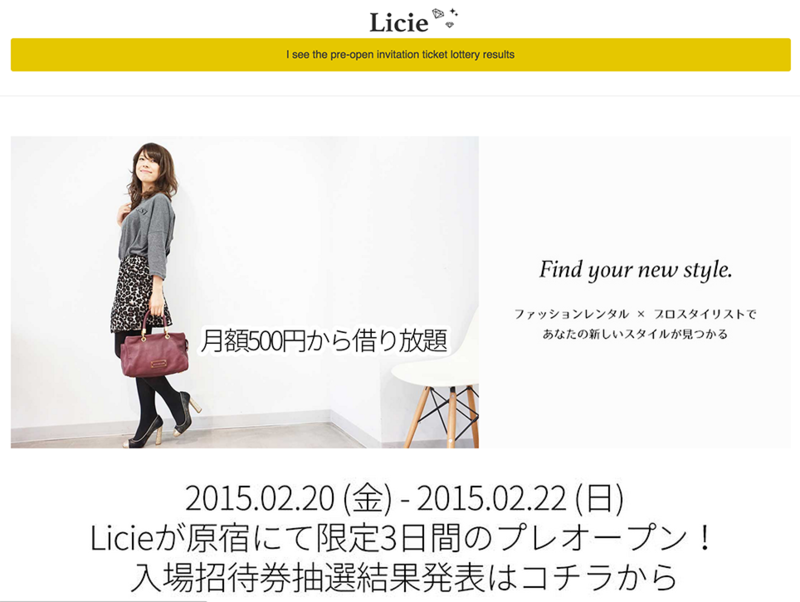 Licie (Richer) rents clothes, bags and accessories for women. Brands include FENDI, GUCCI, Marc Jacobs, Ships with prices ranging from cheap to very expensive. This service will also be accompanied with a physical store. The Rental period is up to 7 days. If you like you items it’s also possible to purchase directly. 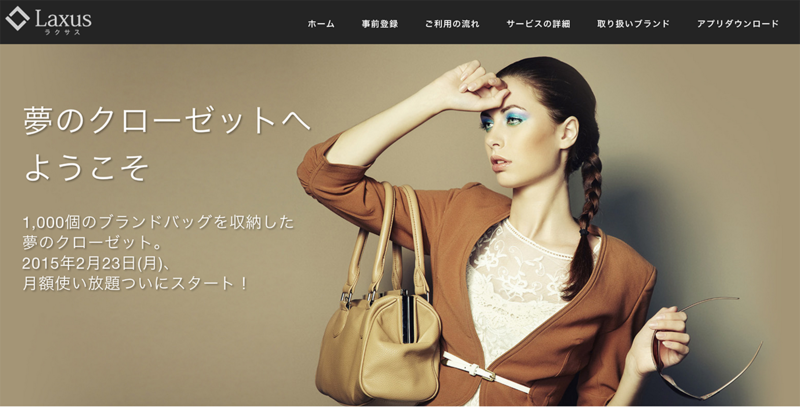 Laxus (Rakusasu) is a service to rent luxury brand handbags service for women. Brands include Louis Vuitton, Chanel, Hermes, and other types, such as Gucci. The fee is 6,800 yen per month and users can rent up to 1 item, this also includes a scratch warranty! The bags can be rented via an iphone/android app. Lovin’Box is a service for women to rent designer accessories. By registering your favorite type of accessories on the site, a mechanism allows stylists to choose the items for you. If you like the items it’s also possible to buy at 20% OFF the retail price.